Jean Murphy Norman is from Church Point, Louisiana. Her parents were Amos & Iris Doucet from Crowley. 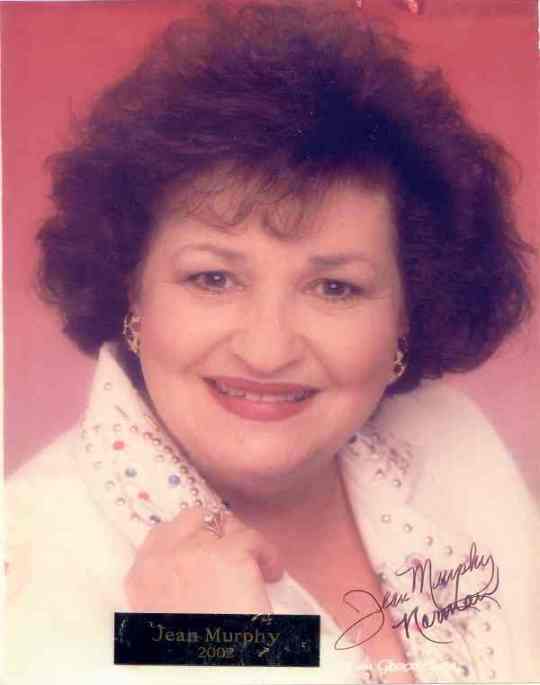 In her bio prior to the Wall of Fame ceremony in January, 2002, Jean wrote; "I’ve always liked the Cajun music since I was a young girl. I’ve always been proud of my Cajun heritage. I loved going with my mom and dad to Cajun dances on Saturday nights." Jean plays guitar & Cajun jam stick. She sings and write songs. She converts English gospel into French and has written over 60 songs in French. Her favorite Cajun music experience was when she sang The National Anthem in French in Branson, Missouri at the opening of The Cedric Benoit Show. Jean has appeared on radio shows at KSLO, KBON, KRVS, Camey Doucet’s Show on KROF, & WHVW in New York. Television shows; channel 10, KLFY, channel 22, Opelousas, The Deno Boudreaux Show channel 5, AOC, & a tv station in Nova Scotia, Canada. She has performed at the Cajun Day, Courir du Mardi Gras, Buggy Festival, Church Point, Beautification Church Point French Choir, The Sedric Benoit Cajun & Sydeco Festival, Cajun Music Association (CFMA), and St. Ann College in Nova Scotia, Canada. Jean’s favorite song is "The 99 Year Waltz". ???? When Jean wrote in her bio "I’m in the process of writing new songs for a new cd that I will record in February, 2002. I’m converting English into French for my music. She has been speaking French all of her life and also teaches French at her shop in the fall and also teaches adult French classes. When asked who helped her the most when she began playing Cajun music, she said Johnny Weight at KSLO in Opelousas, Paul Marks at KBON, Pete Bergeron and Camey Doucet and my loving husband Tom Norman. Other hobbies are making Mardi Gras costumes, garde/soleils, baby blankets, & dancing. Their band name is The Bande Brule. They only play weddings and private parties. Other bands they’ve played with are Reggie Matte, Carol Oliver, Bee Cormier, Robert Sonnier, T’Stan Hebert, The Sunset Cajuns, The Bande Brule and Fo-Fo Lay. CD’s she has recorded are; On The Banks of the Bayou, God’s Promise Cajun Partiotic Selections, An Evening with Jean Murphy.